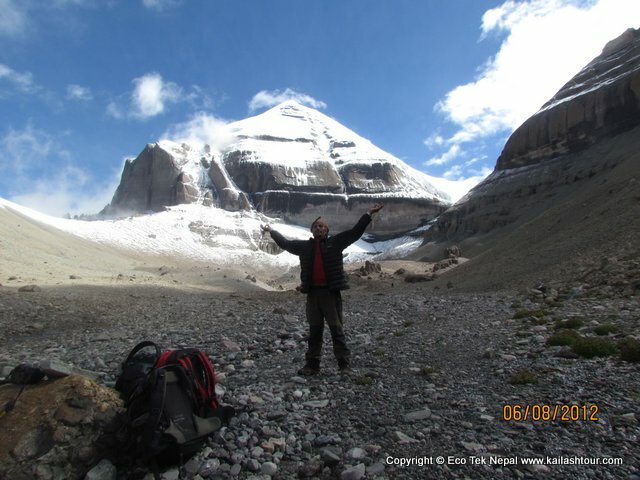 The tour to Mt.kailash and lake mansarovaer can also be made easily with Flight from Kathmandu to Lhasa to Kunsul Airport and back to Lhasa and to Kathmandu. 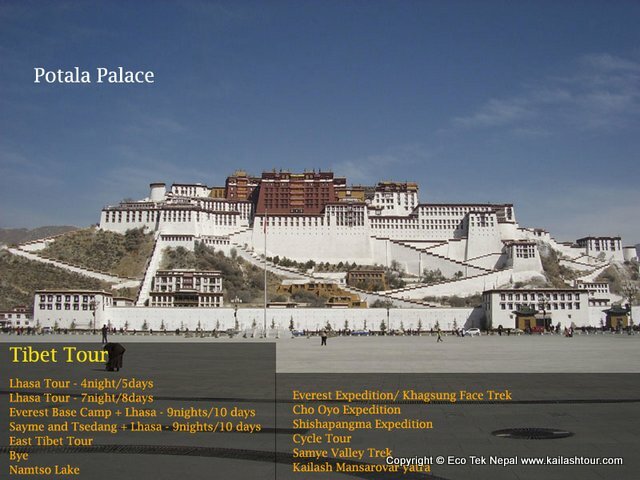 The flights are seasonal and this itinerary is specially designed for people who do not wish to travel by overland for long hours.The visit to Potala Palace, DrepungMonastery,Sera Monastery, Norbulinkha Park , Jokhang Temple and the Bharkor bazar in Lhasais experience of a life time. Day 03: Fly Lhasa by CA407 and rest day for acclimatization. O/n at 3star hotel Lhasa. Day 04: Sightseeing and rest day for acclimatization at Lhasa, O/n at hotel. Day 05: Sightseeing and rest day for acclimatization at Lhasa, O/n at hotel. Day 06: Fly Lhasa airport to Kunshal Airport Ngari (4400m) and drive to capital of Ngari - Shichen-he (Ger). O/n at 3star hotel. 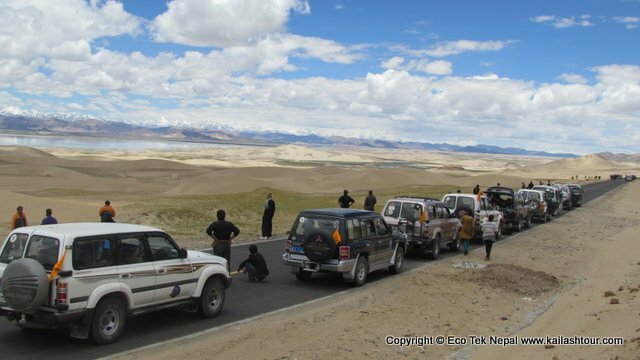 Day 07: Drive Shiche-he (4300m) to Darchen (250km). O/n at hotel Kailash. Day 08: Puja/holy dip at the lake followed by Manasarovar parikrama in bus. Time permitting visits Chiu gompa. Drive to Darchen (4600m). O/n at Kailash Hotel. Day 09: Start Kailash Kora/Parikarma from Darchen pass the first prostration point, Tarboch Flag Pole, the auspicious gateway and the sky burial ground, to Drira-Puk (4765m). O/n at Guesthouse or Camp from where you have superb views of Mt. Kailash. Day 10: Continue Parikarma over Drolma-la Pass (5610m) to Zuthul-Puk (4700m). Just below the Dolma La is the Gauri Kund. O/n at Guesthouse or camp. Day 11: Crosses third and fourth prostration point, Zutul-Puk monastery & trek back to near Darchen and drive to hotel. Day 12: Early morning drive to Kunshal airport and fly back to Lhasa, O/n at hotel in Lhasa. Day 13: Early morning drive to Lhasa airport and take CA408 fly back to Kathmandu.